Enjoying a shady area with the sun warming the landscape is a great way to unwind with friends. However, you shouldn’t just invite a few friends over on a whim. Planning the perfect party in your backyard takes some careful thought. Get to know the basics of party preparation so that your soiree is the talk of the town. When you throw a party, cooking for several hours straight isn’t fun. Be sure to create a schedule for your party on the invitations. Whether you send traditional invites in the mail or through social media, tell everyone about the starting and stopping times for the party. Plan on a cooking time of no more than one hour so that everyone is at least in attendance by the time you fire up the barbecue. Ideally, backyard parties last about five hours total. Lighting can be an issue if you’re holding an evening party. Most people don’t have enough lights outside to really illuminate a space. Don’t keep anyone in the dark. It’s possible to light up the area without investing in professional, outdoor lights. String lights in any colour that you prefer are perfect party accessories. Keep them out of reach of little hands by dangling them from posts and trees. Turn them on during the late afternoon so that the twilight hours turn magical for everyone. If you have a pool, be sure to clean and treat the water before the guests arrive. Outdoor pools won’t need to be heated during the summer, but cleanliness is paramount. Test the fencing around the water too. Your adult guests should be able to access the area with ease. The latching mechanism, however, must be complex enough to stop any little ones from entering the area without an adult. 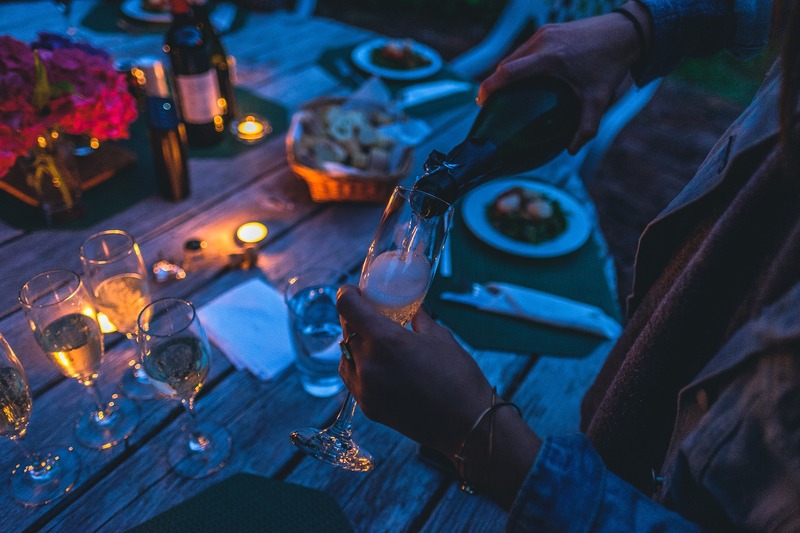 Keep safety in mind during your party, and no issues should arise. Setting up your patio furniture cannot be the only seating at your party. Go a bit overboard on seating by renting more folding chairs and tables than you believe you’ll need. These items can be easily hidden to the side during the party if they’re not needed. If you have many people who show up unannounced, you can quickly pull the extra chairs and tables out for their comfort. No one should have to stand up during their stay at your gathering. You’ve grilled up every item in the house, but your guests are still looking for food to munch on. Always have extra food ready to go in this case. Fruit salads, sandwich wraps or finger desserts are clever items to have in the refrigerator. Follow the same concept with drinks too. By offering small items throughout the party, everyone will be satisfied with the food. Running out of food entirely will only frustrate your guests. A negative aspect of outdoor parties is the pest factor. Mosquitoes, flies and other insects seem to be attracted to the gathering in droves. Don’t turn to chemical sprays or hanging baits that tend to have bad scents, however. Use fans as a smart alternative. Small fans set on low will fight off those flying insects. Create a perimeter around your party with several fans going strong. Your guests will also appreciate the cooling aspect of the fans as they move around the space. With wireless speakers around the average home today, playing music for your backyard guests is easier than ever. Connect your playlist to your speakers before the guests arrive. Be sure that the songs are upbeat and appropriate for everyone at the party. Test the sound levels as well. The music must be loud enough for dancing fun while encouraging conversations between the tunes. Spread the speakers out around your outdoor area because this arrangement will please everyone’s ears throughout the afternoon or night. Don’t forget that your smallest guests also need some diversions. Place toys, bubble containers and other fun items out for the kids. They can have a thrilling time while mom and dad enjoy the conversation. Everyone at a backyard party should leave with a smile on their faces.